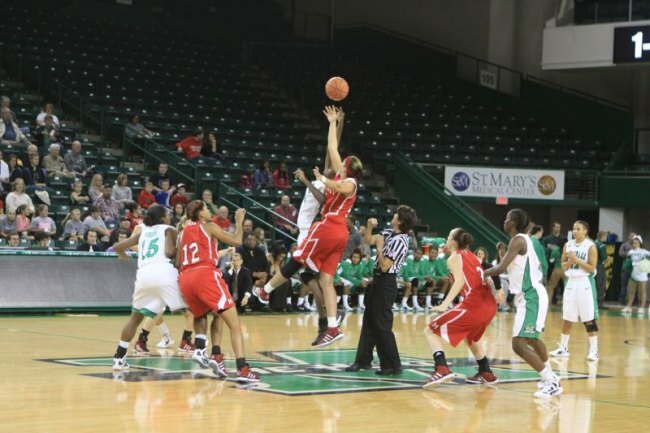 HUNTINGTON, WV (HNN) – The Marshall Thundering Herd women’s basketball team fell to the Miami RedHawks 56-49 at the Cam Henderson Center. Marshall connected on more shots from the floor 20-17 but Miami hit on 19-of-30 foul shots while the Herd hit on 7-of-12. With 5:43 remaining in the first half the Herd trailed 20-18 but the RedHawks outscored them 10-2 over the remainder of the half to take a 30-20 halftime lead. Miami extended their lead 38-22 with 16:51 to go in the second half. Marshall fought back to cut the lead to 47-41 with 6:23 to go but could come no closer than six points. Suporia Dickens and Shynisha Johnson scored 8 points apiece to lead the Herd in scoring.